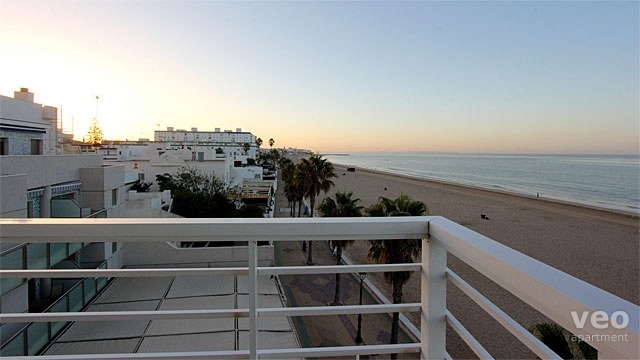 Wonderful and bright luxurious two bedroom apartment for up to 4, right on the seafront at Rota with fantastic uninterrupted views of the Bay of Cadiz. The broad sandy beach is right on the doorstep. 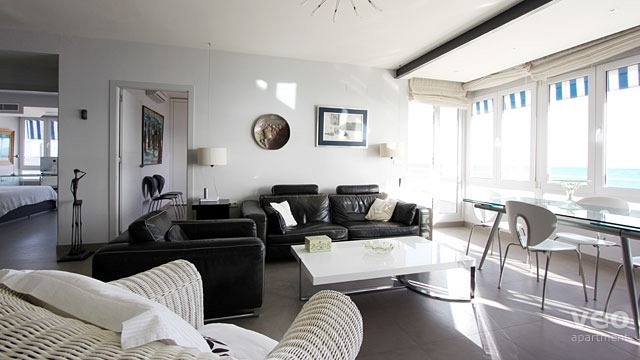 The inside is modern and airy, with all rooms looking out towards the coastline. 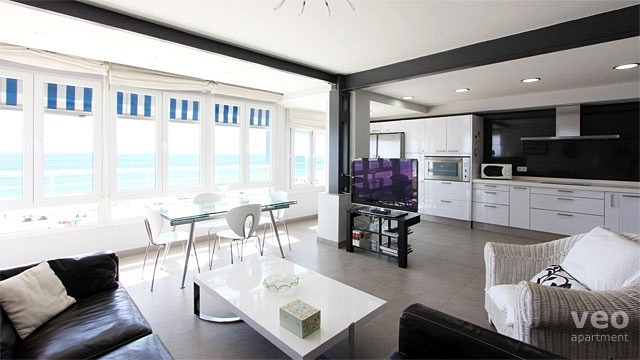 The apartment has a large open-plan living-dining area with a set of double-glazed windows offering wide sea views. 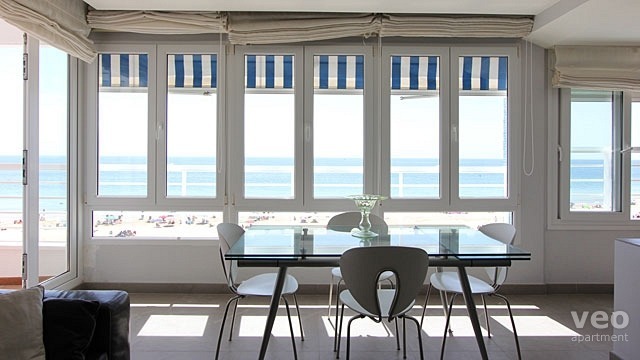 The dining table is set by the windows - making a perfect spot for enjoying a meal. 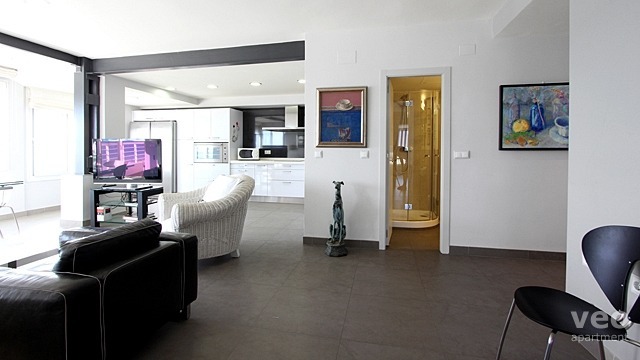 Glass double doors leads on to a "L" shaped terrace of 20sqm. 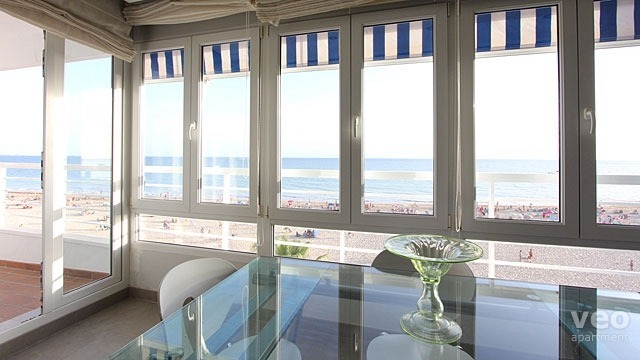 It is furnished with a canopy and outdoor seating, where you can enjoy the sun and the beach views. 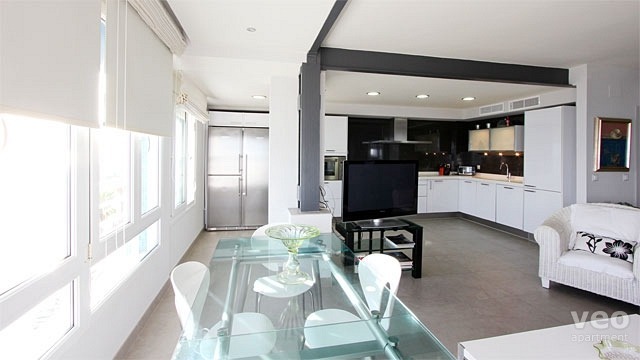 The modern kitchen is to one side of the living area, and is fully equipped with all main utensils and high-quality appliances. With oven, washer-dryer, dishwasher, large fridge and freezer. There are two bedrooms. 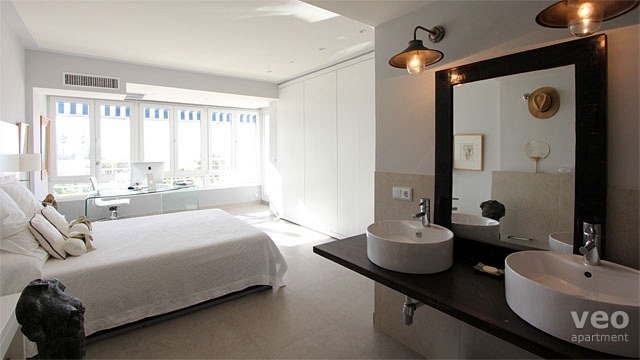 The master bedroom has a king-sized bed (160x200cm), large fitted-wardrobe and a desk by three sets of windows. 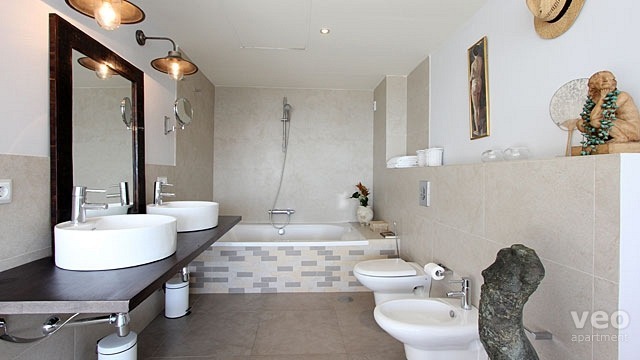 A bathroom is incorporated into an alcove in the room (there is no door separation), and includes a bathtub with overhead shower and twin sinks. 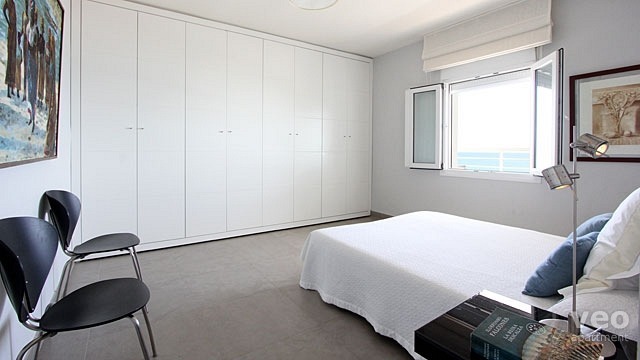 The second bedroom is also a double with a king-sized bed (160x200cm) and a large fitted-wardrobe. 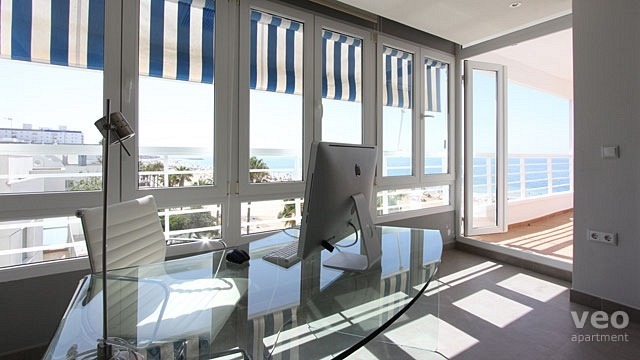 Both of the bedrooms have sea views. 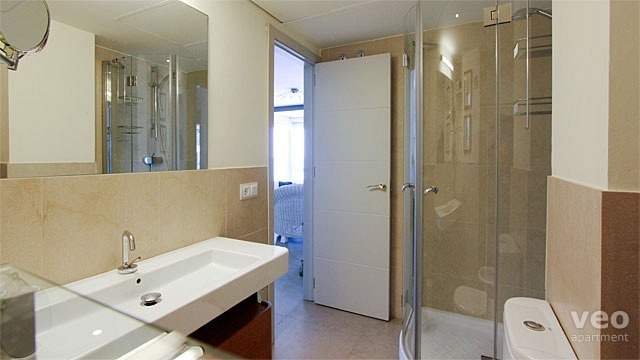 There is a further separate bathroom with a shower. 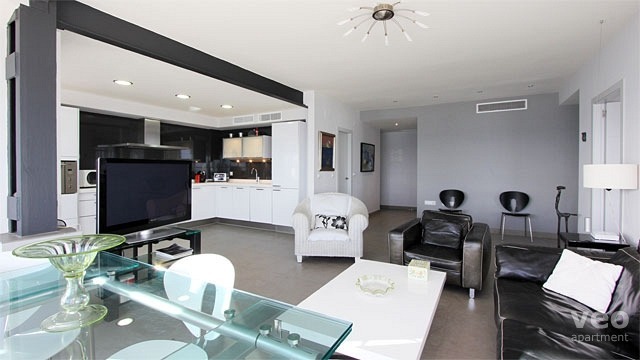 The apartment has been finished to a high quality standard, both in furnishings and fittings. 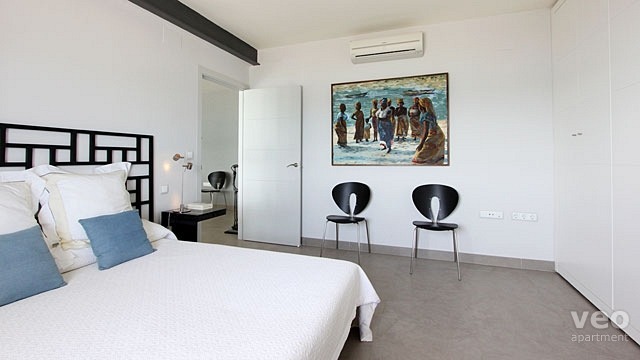 It is also equipped with central air-conditioning (hot / cold) and wi-fi internet. 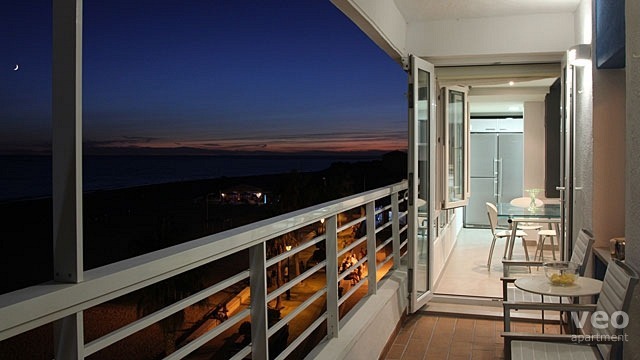 It is on the second floor of a building with elevator, making the apartment comfortably accessible. 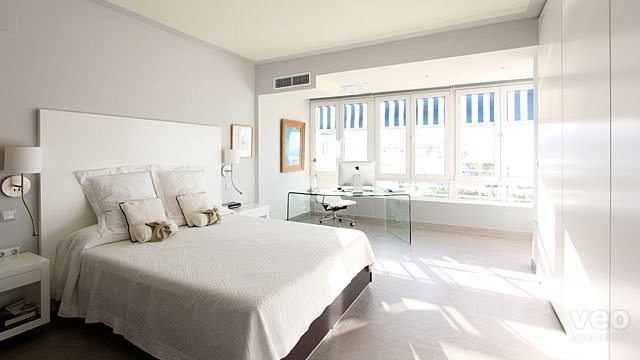 The centre of Rota is a 15 minute walk away and there are many restaurants, cafés and supermarkets nearby. Jerez, Sanlúcar de Barrameda and Cádiz are a short drive away. 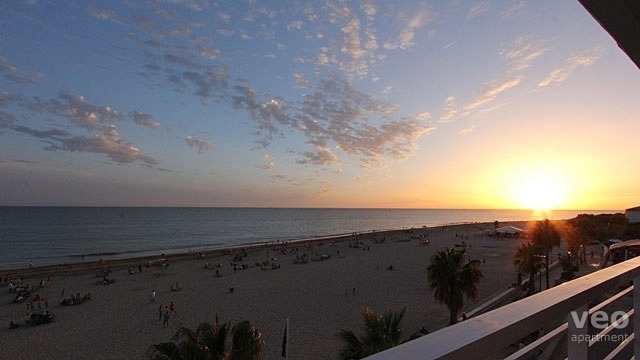 Rota is also a great base for exploring both the Doñana and Bay of Cádiz Natural Parks. 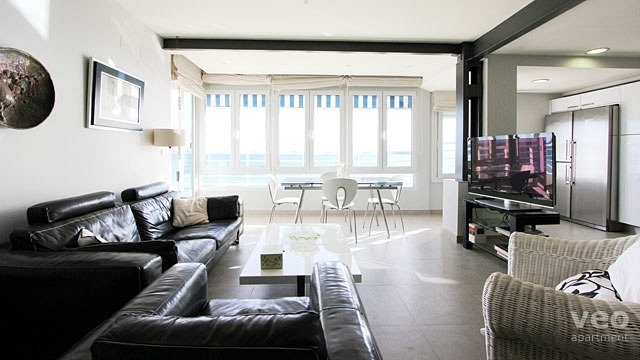 Virgen del Mar is an apartment with wide sea views over the Bay of Cadiz. 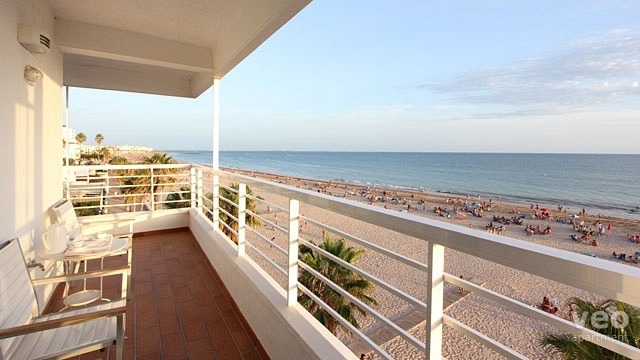 It is located in the town of Rota (Cádiz), in the Andalusian autonomous community of Spain. 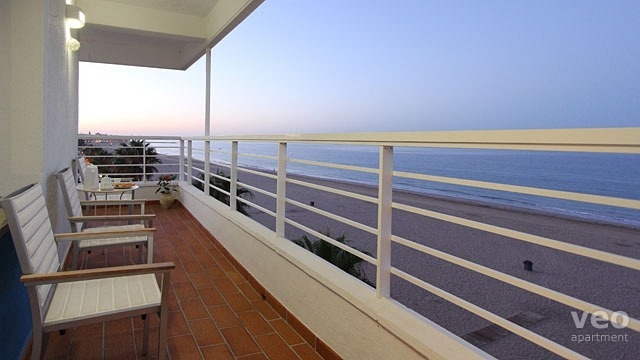 The broad sandy beach of Virgen del Mar is right on the doorstep. This small town with 30,000 inhabitants has 16 km of sandy beaches backed by pine forests. 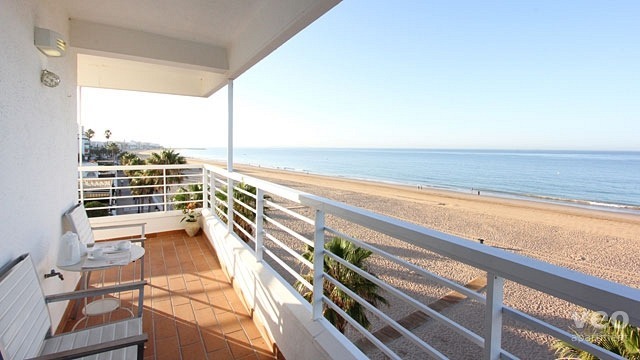 But Rota is much more than a summer town. You can comfortably drive to other nearby places of great interest. Cádiz, Sanlúcar de Barrameda, Jerez de la Frontera, El Puerto de Santa María and others. 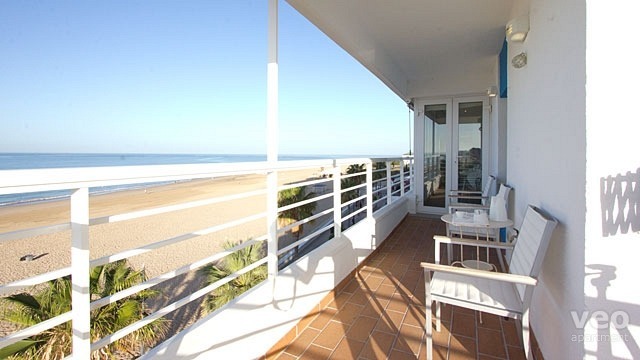 Its privileged location is also a great base for exploring both the Doñana and Bay of Cádiz Natural Parks. Main monuments to visit are the Castillo de Luna castle (XIII), Ntra. Sra. De la O church (XVI) and the Torre de la Merced Tower (XVII). 15:00 - 22:00h. Early/late check-in is possible but subject to availability. 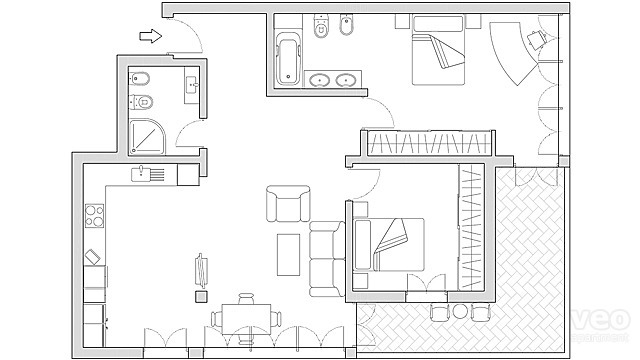 For this apartment, online reservations are accepted up to a maximum of 6 months in advance of the current date. If our dates are for a period after 6 months from the current date, you must send us a request. 3- The owner reserves the right to refuse a reservation.